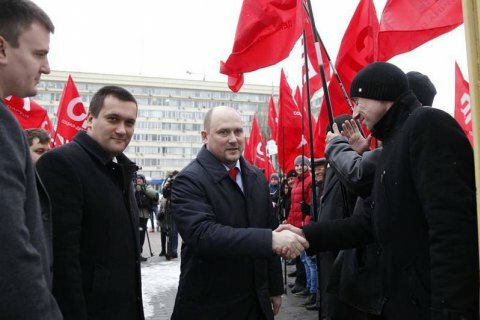 The leader of the Social Democratic Party and Petro Poroshenko Bloc MP, Serhiy Kaplin, filed his application to register as presidential candidate on 3 January, the press secretary of the Central Electoral Commission, Kostyantyn Khyvrenko, has told UNN. Kaplin, who is the third person to file the application, is yet to be registered. Kaplin's rating is around 0.1-0.2%. Former Ecology Minister Ihor Shevchenko submitted his application on 31 December and Brovary human rights activist Volodymyr Ratush on 2 January. Ratush has not paid an entry fee of 2.5m hryvnyas (90,000 dollars) yet. Ukraine will hold the regular presidential election on 31 March 2019.